Hotel Gran Oceano is a spacious hotel, located only 50 meters from the seafront in San Juan del Sur. The setting is friendly and there are lots of plants inside. 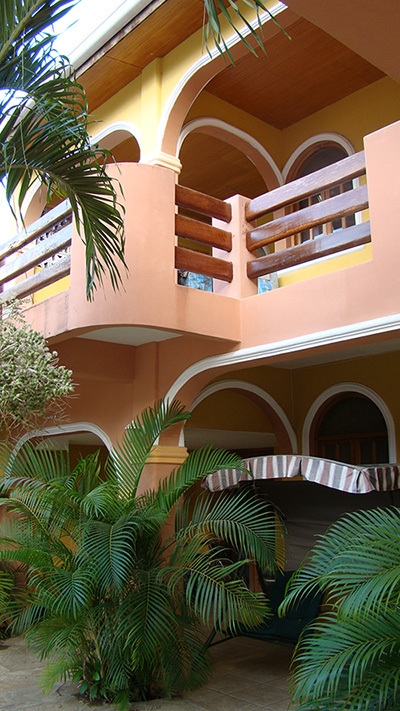 The hotel is well maintained and the rooms have TV, air conditioning and private bath. Enjoy a big pool sorrounded by tropical gardens. Private parking with 24 hours security. Furthermore, the hotel offers a variety of tours, all related to the activities that can be undertaken in the vicinity of San Juan del Sur. Its specialty are the fishing trips, but visits to La Flor or surf tours can also be organized here. Enjoy a big pool sorrounded by tropical gardens.